The Regatta is organised by Regattas Asia under the auspices of the Ao Chalong Yacht Club in conjunction with the Yacht Racing Association of Thailand and with the support of the Tourism Authority of Thailand, the Province of Phuket, the Province of Phang Nga and the Province of Krabi. 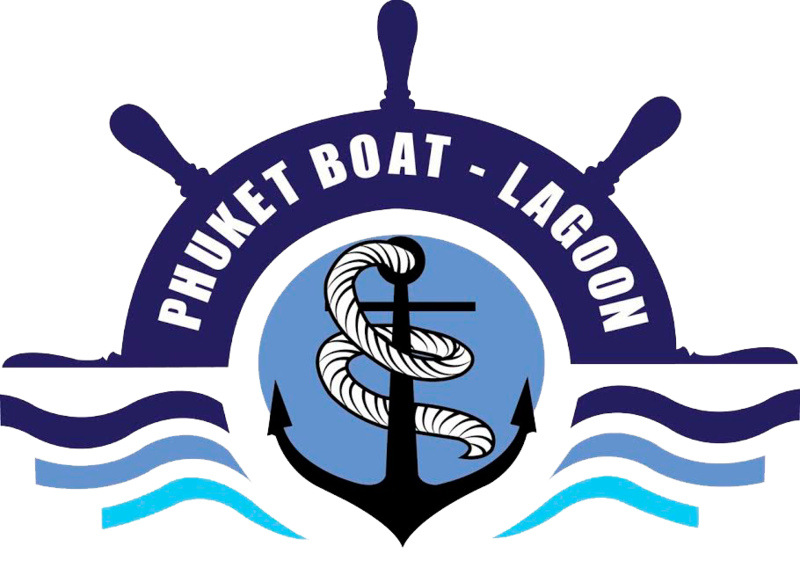 The Regatta will be held in and around the waters of Phuket, Phang Nga and Krabi, Thailand. 1.1 The regatta will be governed by the rules as defined in the Racing Rules of Sailing 2013-2016, the Notice of Race and these Sailing Instructions. If there is any conflict between the Notice of Race and the Sailing Instructions, then the Sailing Instructions take precedence. 1.2 The handicap rules for IRC 2014 (Parts 1, 2, and 3), and NHC as specified in the Notice of Race shall apply. 1.3 The OMR Rule for Multihulls, modified to include an increased baggage allowance for “Live-a-board” yachts not using a “mother-ship” service. 1.4 The class rules for the Firefly 850 Sport and Platu 25 as specified in the Notice of Race shall apply. 1.5 The advertising on a boat or by its crew is permitted in accordance with the ISAF Advertising Code Regulation 20. 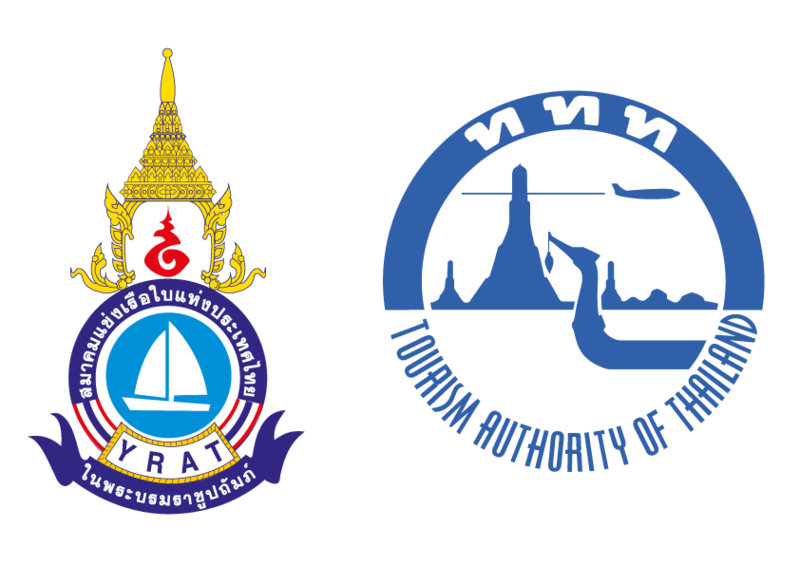 The Race Committee reserves the right to forbid items of advertising which may conflict with the regatta’s sponsors, or in any way offend Thai laws or customs by their nature. 1.6.1 The requirement to be self-righting will not apply to the Multihull Class. 1.6.2 The ISAF Offshore Special Regulations, Category 5 will apply to the Firefly 850 Sport and boats defined as “Sports Boats” or “Dayboat” by their rating certificates, except that the requirement to be self righting will not apply to the Firefly 850 Class. 1.7 The rules of RRS Part 2 will not apply between the hours of local sunset and sunrise and will be replaced by the corresponding provisions of the International Rules for Preventing Collisions at Sea. 3.1 Notices to competitors shall be available from the committee and will be announced at parties. 4.1 Any intended changes to the Sailing Instructions will be announced at parties, the day before it will take effect, and will include any change to the schedule of races. 4.2 To alert boats on the water that late changes to the Sailing Instructions have been made, Flag ‘L’ will be displayed on the starting vessel and information passed by VHF radio by general announcement. 5.1 The Schedule of Races for each class will consist of 4 days racing. 5.3 The written description of the course will take precedence over the diagram. 5.4 The scheduled time of the first warning signal for race day 1 will be 09.00hrs. 5.5 The scheduled time of the first warning signal for race days 2,3,4 will be 08.30hrs. 5.6 The course number will be displayed on the race committee signal boat on the course board at or prior to the warning signal for each class. The race committee may also announce the course number for all classes on VHF Channel 72 before the warning signal. 5.7 The race committee may change a course if the weather circumstances are not suitable for the scheduled course. The change will be signalled by the display of flag C, 15 minutes prior to the first warning signal or the removal of “AP”. The race committee may also announce the changes on VHF Channel 72 prior to the warning signal. 5.8 When more than one race for a class will be held on the same day, the warning signal for each succeeding race will be made as soon as practicable. To alert boats that another race will begin soon, the postponement signal will be displayed before the warning signal is displayed. 5.9 To alert boats that a race or sequence of races will begin soon, the orange starting line flag will be displayed with one sound for at least five minutes before a warning signal is made. 5.10 The order of starting for all Races will be announced on the day by VHF. 5.11 If none of the prepared courses are suitable for the wind conditions a new course for the day may be described by VHF radio from the committee boat at the start. 6.2 These flags will be used as the warning signal and need not be flown by competitors. 7.1 The marks of the course will be inflatable black, red or yellow buoys, or an island as identified in the course description and diagrams. 7.2 Gates will be between a committee boat and a buoy, or an island as indicated in the course description. 7.3 The port-end starting mark will be an Inflatable buoy, which may display sponsors logos or a staff displaying an orange flag on a race committee boat. 7.4 The finishing marks for all courses will be as indicated in the course descriptions. 8.1 The starting line will be between an orange flag on the starting vessel at the starboard end and the port end starting mark, or a staff displaying an orange flag on a race committee boat. 8.2 Boats whose warning signal has not been made shall avoid the starting area during the starting sequence for other races. 9.1 For Courses 1 - 5, The finishing line will be between the orange flag on the finishing vessel and the nearest point of land at the island indicated in the course description. 9.2 For Courses 6 - 7, The finishing line will be a transit line between the east most tip of Ko Lon and the Red/White Navigation Mark situated on the Reef in-front of the Marine Biological Centre at the Entrance to Ao Chalong. If a finishing vessel is on station, boats must pass between the finishing vessel and the Navigation Mark. 9.3 If the course is shortened or finished at an island or point of land, the Race Committee may lay a finishing mark just offshore to indicate the finishing line. Boats shall finish between the mark and the Committee Vessel. Where there is no mark, the finish line shall be between the Committee boat and the nearest point of land. 9.4 For Courses 8,9,10 and 11, The finishing line will be between the orange flag on the finishing vessel at the port end and the starboard end finishing mark. 9.5 If the race committee is absent when a boat finishes, she should report her finishing time and her position in relation to nearby boats, to the race committee at the first reasonable opportunity. 10.1 For all classes rule 44.1 is changed so that the Two-Turns Penalty is replaced by the One-Turn Penalty. 11.1 For Courses 1 – 7 --- There are no individual time limits. 11.3 The absolute time limit for all courses except 6 and 7 will be 16.30 hrs. 11.4 The absolute time limit for courses 6 & 7 will be 15.30 hrs. 12.1 Protests are not encouraged, but if absolutely necessary shall be made in writing to the Race Officer no later than 1700 hrs on the same day as the infringement. 12.2 Breaches of instructions 2.1, 8.2 and 15.3 will not be grounds for a protest by a boat. This changes rule 60.1(a). Penalties for these breaches may be less than disqualification if the protest committee so decides. 13.1 For all classes, two races are required to be completed to constitute a series. 13.3 When 5 races have been completed, a boat’s series score will be the total of her race scores excluding her worst score. 14.1 The Regatta flag is the burgee of the Ao Chalong Yacht Club and will be displayed by committee boats. 15.1 Radio communications between boats and the Race Committee will be carried out on VHF Channel 72. All boats shall carry a working marine VHF radio, which shall be turned on and monitored throughout racing. 15.2 The following communications may be made by the race committee using the designated VHF Channel in addition to any Race Signals. This changes RRS 29, 32, 33 and 41. (a) Courses, including the bearing and distance to the first mark. (d) Boats identified as OCS and general recalls. 15.3 Except in an emergency, a boat shall neither make radio transmissions while racing nor receive radio communications not available to all boats except where permitted by these sailing instructions. This restriction also applies to mobile telephones. 15.4 Prior to and during each start sequence announcements may be made indicating which classes are in a starting procedure. 16.1 Boats that retire during a race shall advise the race committee, by radio, or hail before leaving the race area. Refer to SI 15-VHF radio communication. This is a safety requirement. 17.1 The Race Committee in accordance with RRS 32, may shorten a course at any gate, mark or island specified in the course description, by a Committee Vessel displaying flag S and the relevant Class Flag(s) if necessary. Boats shall finish by passing between the Committee Vessel and the nearby mark of the course from the direction of the last mark. 17.2 If a Committee boat, stationed at a mark, island or gate indicated in the course directions displays Code Flag R and a Class Flag, then boats in the indicated class shall complete the current rounding, passing or gate as described in the course directions and then race directly to the described finish line. 17.3 If a Committee boat, stationed at a mark, island or gate indicated in the course directions displays Code Flag R without a Class Flag, then all boats shall complete the current rounding, passing or gate as described in the course directions and then race directly to the described finish line. 18.1 The following principal prizes for the Bay Regatta will be awarded in each class. Competitors participate in the regatta entirely at their own risk. Competitors’ attention is drawn to RRS 4, Decision to Race. The organising authority will not under any circumstances except as permitted by law accept any liability for material, personal or consequential damages or death sustained in conjunction with or prior to, during or after the regatta.